About: ICAS Southern Africa is part of ICAS International (Independent Counselling and Advisory Services, a division of AXA PPP) the world’s leading provider of behavioural risk management services to the business community. Since its local launch in 1998, ICAS has established itself as the country’s foremost specialist in the provision of behavioural risk management and employee wellbeing programmes, contributing to the health and performance of employees and organisations in all sectors of the economy. Driven by a commitment to achieving results for clients, ICAS is the industry’s clear leader in terms of innovation in design, quality standards and its focus on return on investment measurement. The ICAS brand is a sign of depth, quality and value developed close to twenty years of service excellence in organisations across all sectors of the local economy. ICAS currently employs around 260 permanent staff members, over 880 practitioners and provides integrated health and wellness services to a large client base. We have experienced staff from multidisciplinary backgrounds providing excellent service delivery. All psychologists, social workers and LifeManagement™ consultants are registered with the relevant boards. ICAS boasts a national footprint with its Head Office in Gauteng, and regional offices in Kwa-Zulu Natal, Eastern Cape and Western Cape. About: Healthi Choices partners with affinity, health and corporate groups, who wish to include wellbeing into their service offerings. It acts as a behaviour change catalyst, assisting them to engage, enable and encourage their members or employees to be their best. It does so by providing turnkey solutions including a comprehensive range of wellbeing services and a large infrastructure consisting of online, call centre and extended network capacity. About: We share your passion for the well-being of your staff. Our Employee Wellness Programme (EWP) offers professional and confidential EWP services geared towards addressing personal or work-related issues affecting the well-being and performance of employees. We emphasise the importance of adopting a proactive approach to building awareness and promoting healthy lifestyles amongst employees. About: Workforce Healthcare is a specialist health and wellness company whose expertise lies in the management and coordination of healthcare professionals and the development of comprehensive, tailor-made wellness solutions with the understanding that each and every organization differs greatly.With our vast national network of healthcare professionals, we are able to provide a wide range of fully integrated employee wellness and assistance programmes as well as Occupational and Primary healthcare services at any time and at any location.We have access to approximately one hundred and twenty five (125) branches across the country making us available in all nine (9) provinces. About: We are providers of Employee Assistance Wellness Programs that include: Individual and Group counselling for all employees and their families (trauma, grief and bereavement, marriage and relationships, anxiety and mental illness, depression), 24hr counselling toll free line, Debt Management, psychological assessment for rehabilitation, analysis of behavioural trends. About: Life EHS delivered by Careways Wellness and Life Occupational Health provides flexible, customer-oriented employee health solutions that meet employers’ needs in small, medium, large, single-site and national businesses. Life EHS offers holistic outsourced employee health and wellness services that perfectly align occupational health with employee wellness. This fully incorporated service manages employee health and wellness through standardised quality systems, occupational health services, wellness interventions, health education and clinical protocols. About: Nationally and internationally, our confidential networks of EAP professionals and medical professionals provide accessible, culturally and linguistically agile services. In over a decade of supporting numerous sectors of industry in 12 countries across Africa and Papua New Guinea; Calibre has utilised the concept “Eight Dimensions of Life”, facilitating all elements of wellbeing into one holistic programme of- training, primary care, disease prevention, health risk management, lifestyle interventions and psychosocial support. About: Olwazini Consulting, a Level 1 BBBEE, black female owned consultancy is a one-stop Human Capital & Business Consulting company, base in Johannesburg South Africa and operates in all the 9 provinces. We are an organisational effectiveness consultancy, we tailor make business improvement solutions by aligning employee wellness, your business processes and HR interventions to help drive your strategy implementation and impact on the sustainability of your business, using our uniquely designed ROI measurement tool We are very passionate about Organisational Effectiveness (OE) and pride ourselves. 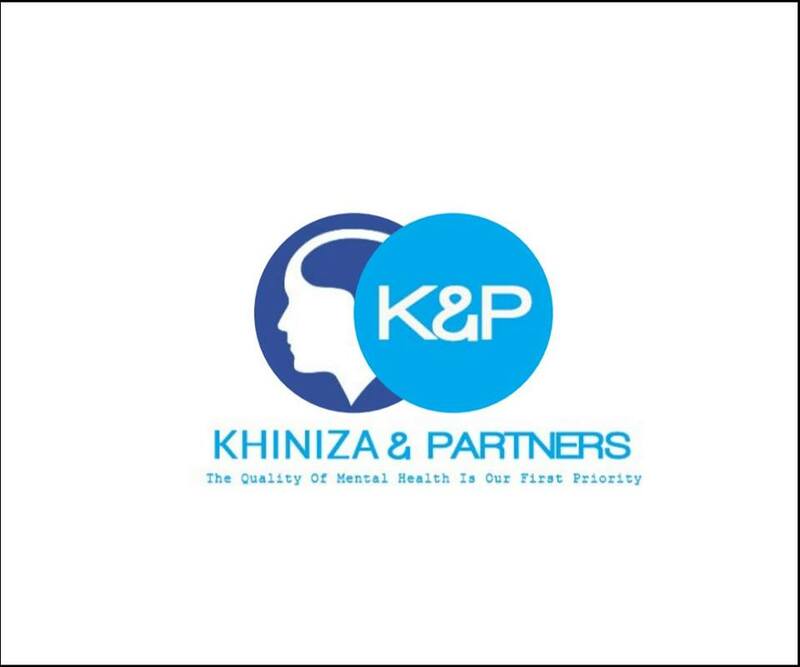 About:Khiniza and Partners is a registered Employee Health and Wellness service provider which was founded in 2017 and currently based in Pretoria. We are 100% black male owned with a BBBEE rating Level 1. Our Employee Wellness Program provides a professional and an integrated EHWP services that aimed to promote and enhance work performance among employees in the organisations. Our services includes but not limited to: One on one individual counselling, assisting in dealing with stress and pressure in a busy working environment, assist with family counselling and mplementing the EHWP and HIV/AIDS policies. About: Phela Workforce Management Solutions (Pty) Ltd offers comprehensive Wellness and Leadership Programmes. The Employee Wellness Programme provides employees and managers with access to counselling, coaching and wellness services to help them manage personal concerns that impact their wellbeing, productivity and performance at work, enabling a healthier workplace with reduced absenteeism and improved productivity. Phela engages highly trained professionals to deliver its Wellness services. About: Rendering Employee Health and Wellness programmes(EAP) Independent and Advisory service provider. Help and support employees to become productive. Benefit employees with personal and emotional issues. Provide EAP services such as Counselling(Telephonical& face to face. Life management services(Legal, Financial,Family care Management support(Management consultancy,Formal referral and assisted referal. It providesOn site trauma debriefing and off site trauma debriefing. Stress management. Anger mangement. Substancence abuse. Health issues. Bereavement and other work related concerns. About: Metropolitan Health Corporate (MHC), a member of JSE-listed MMI Holdings, has been providing managed care services for almost 20 years. Innovative and robust technology, integrated health risk management and wellness, and an excellent team of passionate people combine successfully to bring to life our unique people- and client-centric formula. MHC touches the lives of almost 2 million people through various medical schemes and employer groups across South Africa. We have a holistic approach to Employee Wellness, offering integrated service capabilities to enhance workplace Employee Wellness services. About: The NBC EHWP philosophy is to provide an effective strategy to encourage and assist employees to overcome personal problems affecting their work performance. EWHP provides mechanisms to help employees recognize and acknowledge that there is a problem and to obtain appropriate referral and treatment, within a supportive and confidential framework.Our health and wellness programs and services are designed to boost healthier lifestyle behaviors in employees and reduce health care expenditure. Our focus is on preventing illness and injury, promoting health and productivity. About: Trauma Counselling, Grief Counselling and HIV Counselling. Counselling /Therapy for individuals, couples, family and groups. Therapy for psychological problems such as anxiety and depression. Counselling for different stressors such as relationships/marriage, work and general life challenges. Adolescents and children with emotional and behavioural problems. Employee Wellness services. Psychometric assessments (school, career guidance and psycho/medico-legal).